One of the best places at home where you can feel free to de-stress and relax all afternoon is your garden. If you think that the area has been neglected for quite some time due to your busy schedule, do not lose hope. 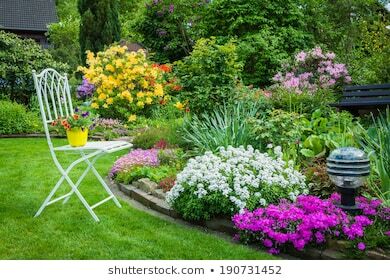 Should you wish to restore your yard’s natural beauty, there is no need to worry because we have prepared some practical and easy tips to get you started. If your yard currently looks bare and lifeless, then the first thing to do is plant grass in the area. When choosing the right kind of grass, you have to make sure that it can thrive and fully adapt to the weather in your area. Certain types of grass and weeds can survive in either direct sunlight or shaded areas. For those with busy schedules, you can also choose low maintenance types of grass and purchase a garden sprinkler to ensure that it gets an adequate amount of water at least twice or three times a week. The best time to water the grass is either early morning or late in the afternoon to ensure maximum water absorption. If you are planning to add plants and flowers, then it is a good idea to protect them by installing garden railings around your property. This will help prevent damage from kids playing around, and dogs and wild animals like squirrels that may be lurking around the neighbourhood. Choose the type of railing that complements the overall design of your house. You have the option to build your fence yourself or have it professionally installed. Adding different types of flowers will make your garden attractive. You can plant a variety of flowers depending on your preference and lifestyle. Whether you choose to plant different colours of roses, lilies or sunflowers, it is up to you, as long as you can adequately care for your plants. Deciding to hire a landscaper to work in your garden is a great idea. But it can also be quite costly especially if you are on a limited budget. To minimise your expenses what you can do is to buy the appropriate tools that you can personally use to beautify your garden space. If it is your first time planting grass and flowers in your yard, it is best to nourish the soil by using the appropriate compost. Always remember that fertilisers need to be mixed with the right amount of water before you can see results. If you are unsure of what to do and how to apply these fertilisers, make sure to consult an expert. Gardening may be a therapeutic hobby for those people who often experience stressful situations. Many people find the hobby very calming and relaxing, especially for older individuals. Also, gardening is a practical pastime because it will not cost you a lot of money.